Edmonton's Sonic Field Day Unveils 2019 Lineup with PUP, July Talk, the Glorious Sons - Exclaim! Edmonton /ˈɛdməntən/ is the capital of Alberta, Canada. Edmonton is on the North Saskatchewan River and is the centre of the Edmonton Capital Region, which is surrounded by Alberta's central region. The city had a population of 899,447 in the 2016 municipal census, is Alberta's second-largest city and Canada's fifth-largest municipality. 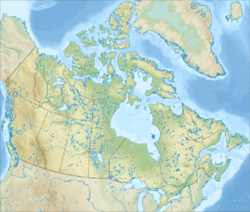 This population represents 66 percent of the total 2015 population of 1,363,300 within the Edmonton census metropolitan area (CMA), Canada's fifth-largest CMA by population. Edmonton is the most northern North American city with a metropolitan population over one million. A resident of Edmonton is known as an Edmontonian.